As part of BC Craft Beer Month, we are launching a brand new annual award for the Best Brewery Experience on the BC Ale Trail. 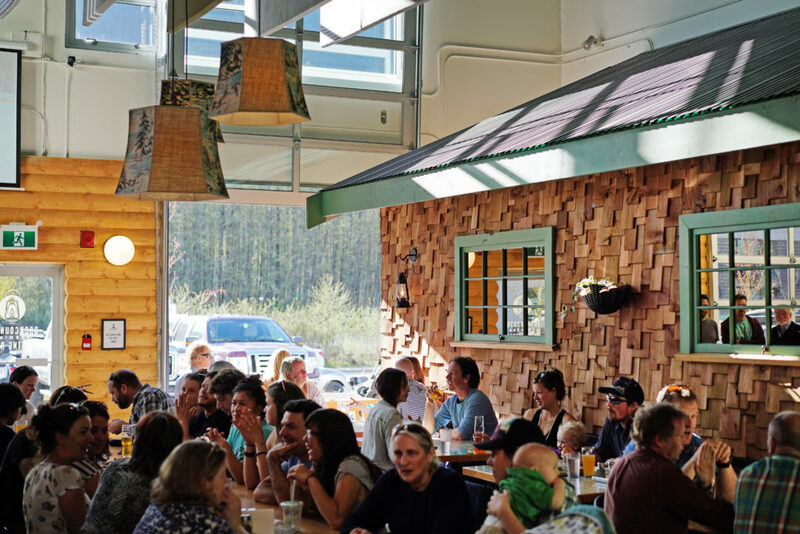 Most BC breweries work hard to create an amazing consumer experience — from the quality and variety of the beer they produce to the food they serve alongside it, as well as a range of other activities or experiences they offer. 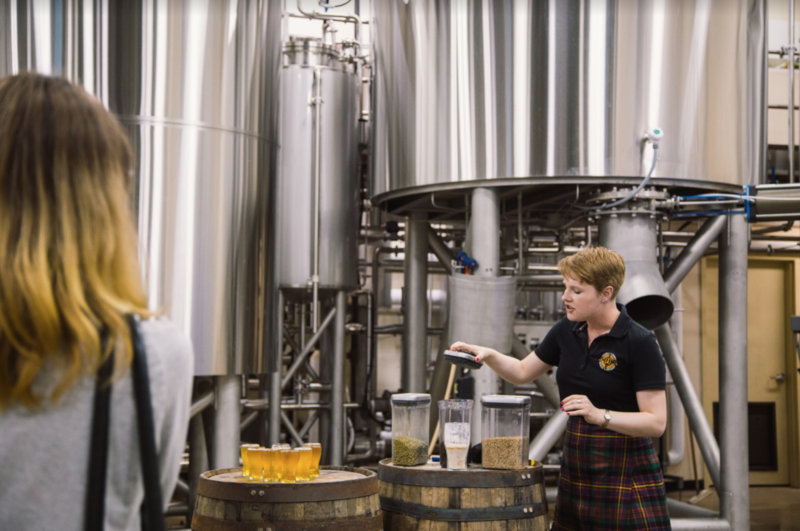 Many breweries offer guided tours of their production areas, allowing visitors the opportunity to peek behind the curtain and catch a glimpse of fancy, shiny stainless steel equipment or old wooden barrels. There’s nothing quite like sampling a beer directly from a tank in the back of a brewery! 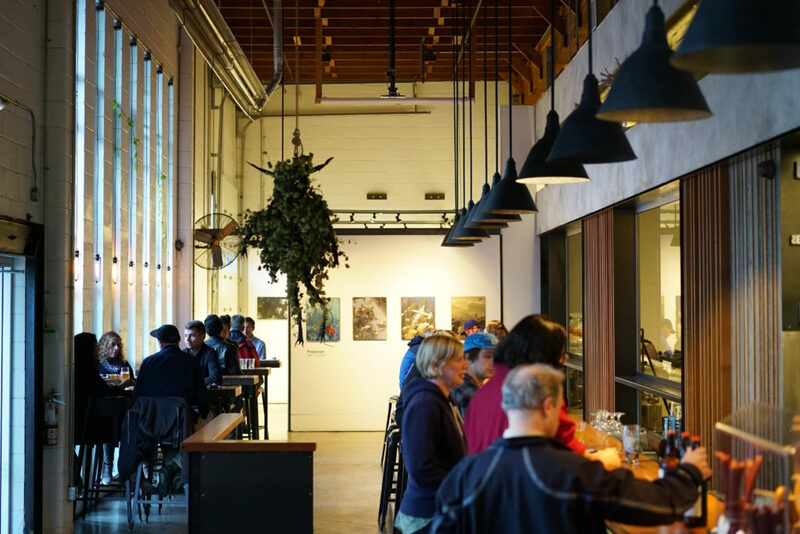 Breweries with tasting rooms might offer special nights featuring local musicians or open mike sessions. A few put on concerts or festivals. Some also have galleries showing off artwork by local artists. Special beer releases and cask nights are also a great draw. 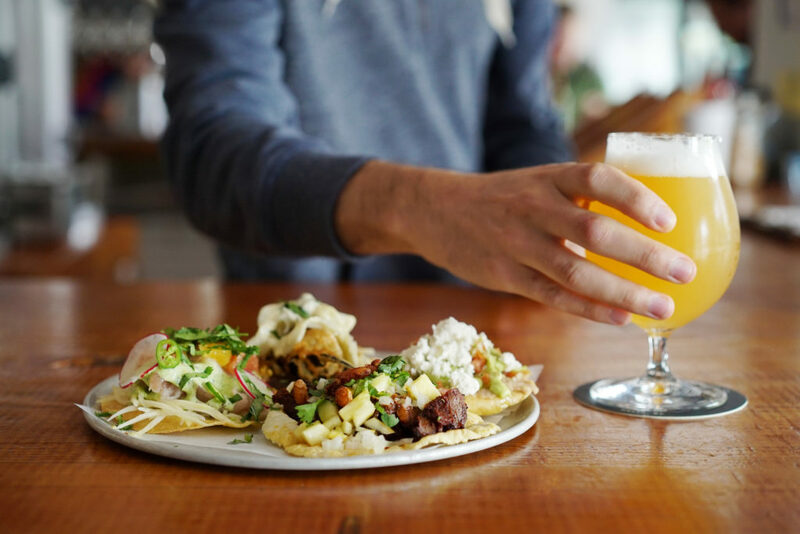 At some breweries, the beer is complemented by amazing food, whether it is pizza or tacos made fresh on site or other tasty delicacies. And what about the vibe of the room, the way you feel when you sit down and start chatting with your neighbour? Maybe board games are your thing. Many BC breweries provide a selection of games and cards for customers to use. 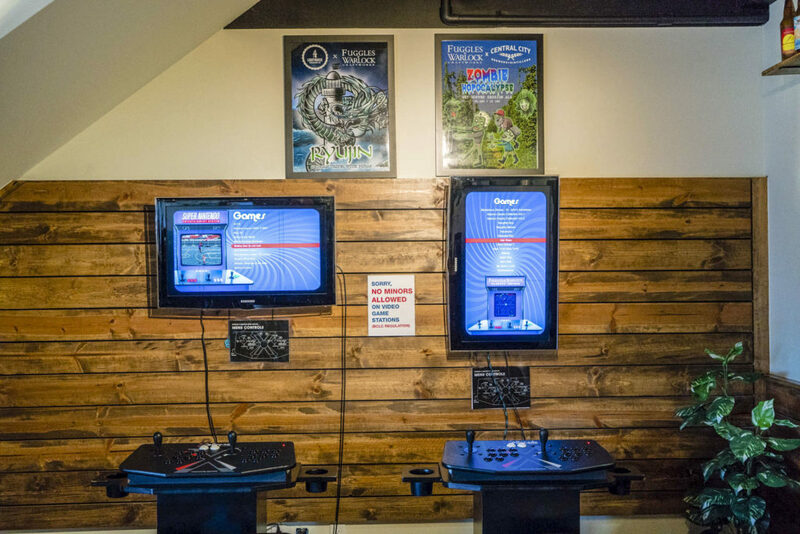 Quite a few have arcade games, pinball machines, pool tables or foosball tables. Air hockey, anyone? Heck, some breweries even have bowling alleys! Trivia nights, music bingo, karaoke, yoga, brunch — or maybe something a little more educational? Some breweries offer tasting seminars and beer education nights, or bring in guest speakers. 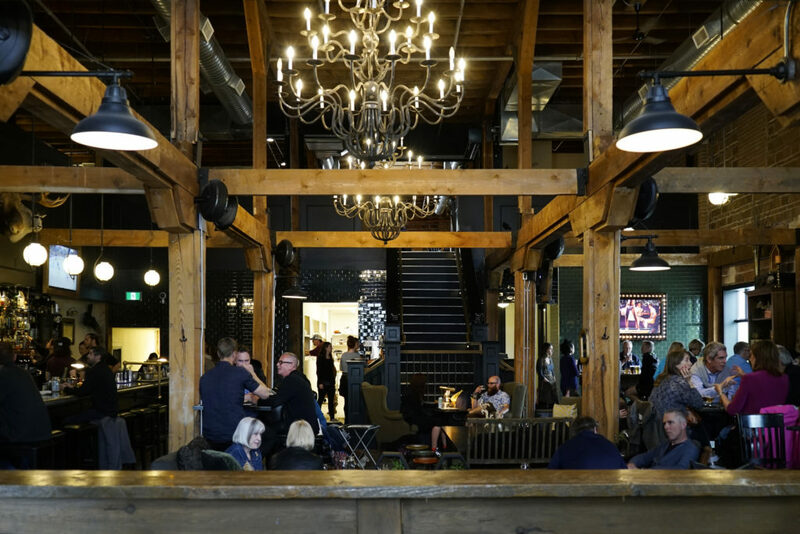 You may love the gritty, industrial vibe of your favourite place while others admire the way a brewery has renovated a historic space. Some have managed to turn seemingly basic warehouse spaces into unique and welcoming rooms. Some combination of these factors will result in your ideal brewery experience. What makes a brewery the best in your opinion? Well, this is your opportunity to nominate your favourite for the Best Brewery Experience on the BC Ale Trail. Nominations close on Monday, October 15th, so spread the word and get your votes in before then. Nominations will be reviewed by the BC Ale Trail team and the final winner will be announced at the end of October! Here is where you go to vote for your favourite.